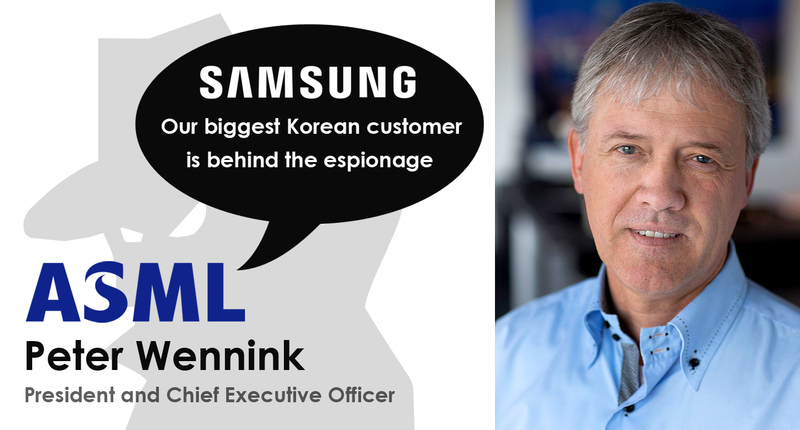 Not the Chinese government, but Samsung is behind the ASML espionage, according to ASML CEO Peter Wennink. It's ordinary business espionage. Updated with official statement from Samsung Electronics (14:30 CET). Last week it was announced that Chinese people have stolen software from world’s biggest chip manufacturer ASML. Not much later, a Dutch news paper called Financieele Dagblad and multiple Dutch politicians spoke about state espionage. The Chinese government would be behind the espionage. However, ASML CEO Peter Wennink soon denied this story. Today Wennink revealed in an interview on Dutch television who is truly responsible. It’s not the Chinese government, but ‘our biggest Korean customer’. The interviewer from NOS Journal directly asked whether he meant Samsung, after which Wennink repeated ‘our biggest Korean customer’. Although the CEO did not want to call Samsung by name, it seems clear this Korean company is behind the espionage. ASML came to this conclusion after hiring an external company to find out who was behind the theft. They concluded it is not state espionage, but ordinary business espionage. Chinese former employees have stolen the software to set up their own company, Xtal, to become an ASML competitor and a cheap alternative for Samsung. The spies are all born in China, but some now have the American nationality. The company Xtal is also setup in the United States. The software was needed to set up chip machines for optimum production of electronic chips. In 2016, Samsung became a 30% shareholder of Xtal, and ASML subsequently lost Samsung as a customer for this software. Samsung is a major client of ASML, it’s unclear whether and how their relationship will continue after this striking affair. 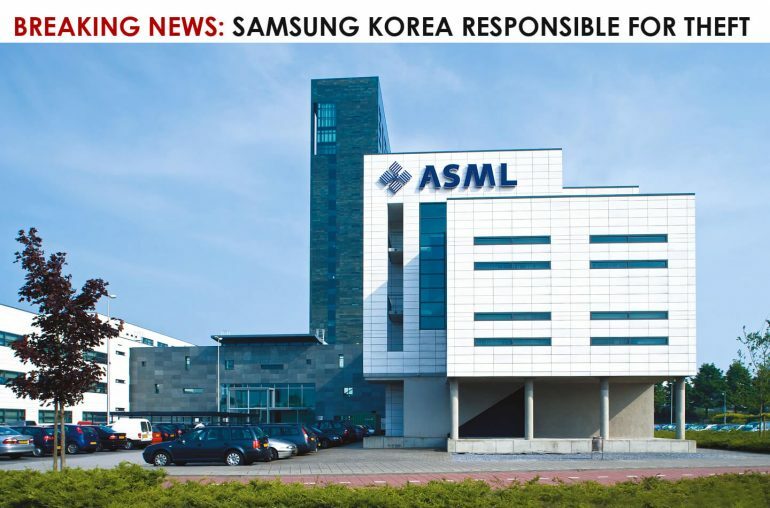 Regarding the stolen software, Samsung is already back as an ASML customer. ASML provides chipmakers with everything they need – hardware, software and services – to mass produce patterns on silicon, helping to increase the value and lower the cost of a chip. Their key technology is the lithography system, which brings together high-tech hardware and advanced software to control the chip manufacturing process down to the nanometer. All of the world’s top chipmakers like Samsung, Intel and TSMC use technology from ASML. 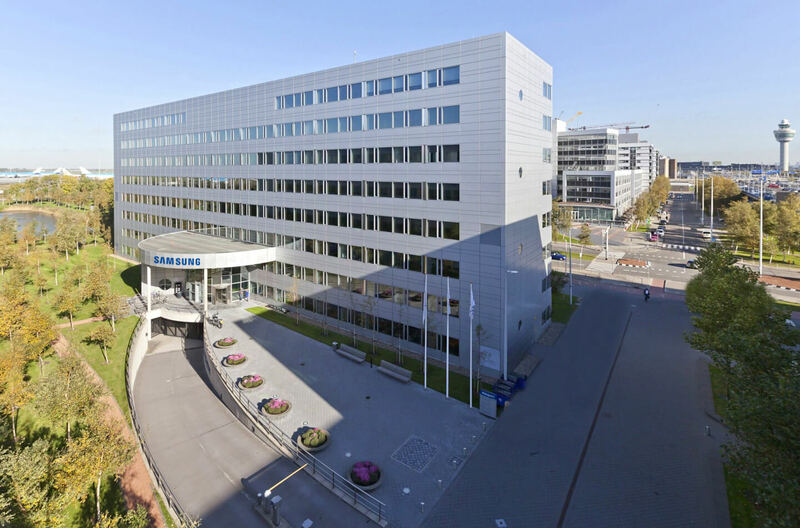 ASML has 19,000 employees worldwide and is headquartered in Veldhoven, The Netherlands, with over 60 offices in 16 countries. China is an increasing important client for ASML. In 2018 about 19% of the turnover of ASML machines came from China. A year earlier this was only 11%. Therefore the news that was initially spread by the Dutch financial newspaper Financieele Dagblad was simply too harmful for ASML to stay silent. Wennink feels the story was ‘blown up’ and ‘out of context’. 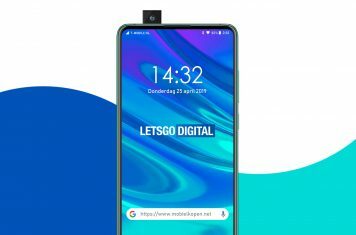 With the development of the 5G network, China and the rumors about espionage are a much discussed topic in the Netherlands, making the story immediately a political issue.